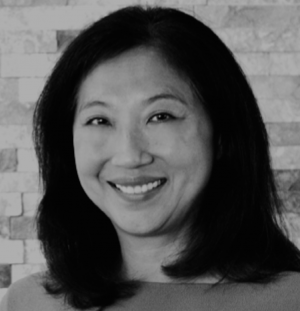 Professor Gina Dokko is an Associate Professor at the Graduate School of Management at UC Davis. Professor Dokko focuses on organizational theory and behavior, careers, and technology and innovation. Read on to learn more about what made Professor Dokko transition from working in the industry to academia and what makes her enjoy teaching! 1. How would you introduce yourself in 20 seconds? I’m a professor at UC Davis who studies people’s career. I became interested in careers because of my own multiple career transitions: from cost accounting to marketing to strategy to academia. 2. Tell us about your journey? Generally, I think about the consequences of movement. Since I study careers, movement to me is primarily about job mobility and career transitions and how this kind of movement affects people and firms. Of course this is related to other sorts of movement, such as social mobility. Career opportunities are not evenly distributed, and I think about ways that people might have more equitable access to jobs and careers. Finally, career transitions are often also related to geographic mobility. When people move to different geographies or different regions of the world for their careers, this movement creates social connections and learning. For me, motivation comes from an over-developed sense of responsibility. I’m a conscientious person, and feel antsy if something needs to be done. That may not be a very inspiring answer, but it’s the truth! 5. What advice you would give your younger self? Sometimes it’s more important to be kind than to be perfectly accurate. 6. What’s one thing you want to change about our world? Only one thing? The world would be a better place if people had a clearer understanding of how science works. 7. Tell us a fun fact about yourself? I used to freelance writing the back covers of Harlequin romances. 8. What’s the best part about teaching? My job is mostly research, which I like. Teaching is somewhat difficult for me. I don’t like speaking in front of people and I really don’t like grading! But teaching is like most things: you can be effective with hard work, careful thinking, and disciplined practice. With regard to what I like about it, there’s no contest – it’s my students. Their hard work and dedication to getting an education impresses me. And the students at Davis are a great mix of intelligence and caring, which is unique, and distinguishes our program from many other MBA programs. At this point in my life, I’ve accomplished my careers goals, which were simply to have a career that would give me financial security and the opportunity to do interesting work that I’m proud of for many years. So now, my short-term goal is to finish renovating my house 🙂 . My long-term goal is to enjoy my life and to do my part in making the world a better place. 10. Did you always want to be a professor? Tell us about your journey. I actually entered academia very late, compared to most research-oriented professors. My friends teased me about being the world’s oldest PhD student, which was not too far from the truth. When I was young, I didn’t really know what I wanted to do. My parents wanted me to be a doctor (Asian immigrants…), and my rebellion was to major in Finance (it wasn’t much of a rebellion…). I worked for a few years, got an MBA, worked some more, then realized that the path I was on, though rewarding in many ways, wasn’t the best fit for me. For one thing, I had learned that I like having a lot of control over my life, and ironically, the higher I rose in firms, the less control I had over my schedule and my work. In addition, I was never satisfied that I really understood why things were happening. In industry, things move so fast that I never got to deeply reflect on why things played out the way they did and what it means. Becoming a professor in a research university addressed both of those issues, and I’m happy to feel settled and productive in my job. You can read more about Professor Gina Dokko’s faculty profile here.